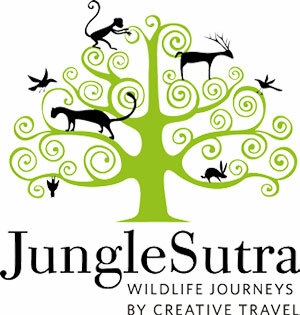 Jungle Sutra has been especially crafted to showcase Indian Subcontinent’s more commonly sought-after wildlife, as well introducing as the lesser known species that as of now, India may not be known for. We don’t just focus on Jeep safaris but a whole array of safari activities encompassing walking safaris, boating, canoeing, night safaris, cycling safaris and elephant safaris. We are very keen to change the way people perceive Wildlife in the Indian Sub-Continent, take guests into the more remote and therefore less visited parks. Mega fauna including wild elephant, rhino, wild water buffalo and gaur. Canines including the dhole (Indian Wild dog), jackal, striped hyena and wolves. Four species of bear, sloth, Himalayan black bear, brown bear and sun bear. The Hoolock Gibbon, the only Ape to be found in the subcontinent. 270 species of snakes including the King Cobra – the largest venomous snake in the world. An ecosystem like no other, explore its landscapes, flora & fauna along with undiscovered stories of the wild waiting to be told! In a world of busy professionals, where every moment is valuable and time lost is money lost, we at Creative Travel launched what is today regarded as one of India’s finest conference management teams – Plan it ! We felt that the business of conference planning required a dedicated team of experts. That is why we created Plan it!. – a team of bright conference professionals with a singular mission to make every event a memorable one. Being a part of Creative Travel, Plan it! has a strong linage of excellence and a strong grounding in skills. 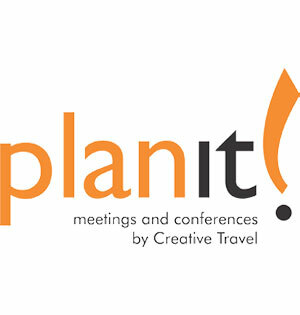 Having handled thousands of delegates over a variety of conferences and meetings of all shapes and sizes, the team at Plan it ! offers the conference buyer a one stop shop for all their meeting & conference related needs. Plan It! is regarded to be amongst India’s finest conference management teams. At Plan it! every meeting and conference is an event handled with the highest levels of professionalism. Our network of offices all over the Indian subcontinent equips us to handle meetings of all types and sizes. An able team of professionals capable of handling all aspects of conference planning. has made Plan it! India’s most technologically advanced conference management team. When we look at a conference, we look at establishing a long term relationship of understanding and Cooperation. well invested in reputation and efforts in the conference and meeting planning industry. Members of leading global associations including MPI (Meeting Professionals International) and SITE (Society of Incentive & Travel Executives), two of the top bodies for the meeting industry. 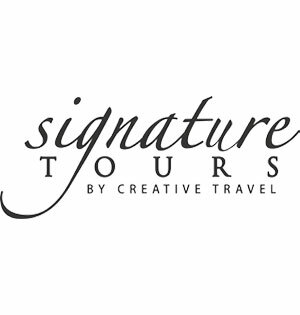 Signature Tours by Creative Travel is a brand that is created to offer a very special style and level of service around the globe to the discerning traveller, a traveller who wants nothing less than the best. As the name suggests, the very ethos of this product line is distinctive and exclusive. Our attention to detail and creativity in planning is fostered by the independence provided by our family ownership, which we consider to be one of our biggest strengths. We have extensive experience in handling high value travellers. Our team in India and around the world, is extremely experienced and have years of travel knowledge and experience with them. Attention to detail is key and our highly trained sales consultants will ensure that every element of your travel itinerary is planned to the last detail. The most valuable things in life are not our possessions, but rather the experiences that bring us closer to each other and to ourselves and we look forward to meet and exceed your expectation, creating unique and memorable experiences at every stage. We hold the trust of our partners as sacred.